Built from recycled, recovered lumber. Contact store for details. 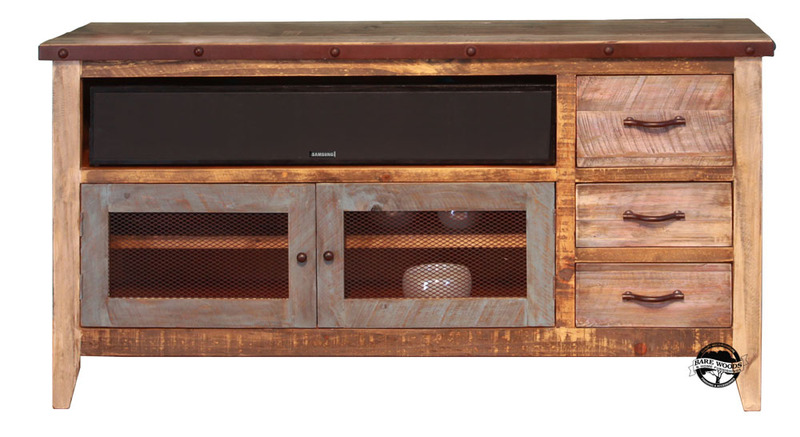 Features: multi-color distressed finish on hand brushed wood, Mortise and Tenon construction, dovetail joinery, ball bearing metal glides. Three storage drawers, two Iron mesh doors with fixed shelf behind. Available in 52", 62" and 76" lengths.